Scented candles can help enhance a specific mood or certain feeling when used in the correct place and setting. Scents can trigger memories, affect your mood, and create a sense of well-being. With so many different types of candles, the decision of what to get in regards to your needs and budget can become quite difficult. This buying guide was designed to help you determine what type of candle will be the best fit for you, given your wants and needs. 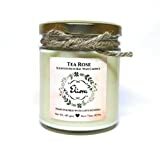 There are so many different kinds of candles and scents that it can be overwhelming to choose. Here is a list of the different types of scented candles, and where would be the best room to put them in. Flameless: These candles run on batteries and use LED lights to create a luminous glow. These are best for outside use, and for rooms in which you are worried about having to watch a real, burning flame since these can be left unattended. 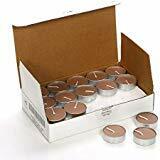 Also great for a budget that cannot include candles every month—since they are run by batteries, the wax will never melt and the batteries can last for years! Wax Melt: Also known as a wax tart, this highly scented wax is poured into molds and does not use a wick. 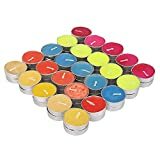 Like flameless candles, these melts do not have an open flame and are a very efficient way to fragrance your living space. Once the wax has melted, it will continue to release scent for up to 8 hours, so if you want something that you can essentially “turn off,” this is not the candle for you. Aromatherapy: Great for those who want to use scent to promote a certain, unique feeling. 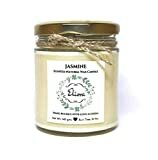 These candles have all natural ingredients and use essential oils to stimulate certain areas of the brain that are associated with feelings such as calmness and relaxation. Oil Diffuser: A diffuser is used to disperse scented/essential oils so the aroma fills an area or room with a natural fragrance. There are many different things that the oil can be placed in to burn. Using a diffuser in place of an aromatherapy candle can be a cheaper route because less is needed to achieve the same effect. Best when used in a large room. Scent. The happiest customers are those that purchase candles with a fragrance that is subtle enough to smell, but is not overpowering. It is also important to look at the ingredients of the candle, to see if you do not like any of the ingredients used. Burn time. 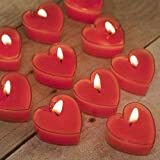 Candles that burn longer not only last longer, but will also continue to keep the area well-scented. An even burn is also important to keep the wick in good shape! Design. 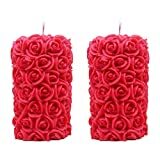 Many reviews have brought up the aspect of the candle design or the holder. People were pleased with products that matched their home décor and those that came in nice packaging. Go for soy if possible. Paraffin candles can emit toxic chemicals. Also, soy wax burns more evenly than paraffin candles. Soy candles have become more affordable over the years, but your options tend to be limited to jarred candles (since 100% soy wax is far softer than paraffin). The wick matters. The highest-quality candles use a braided cotton wick, instead of the kind that have a wire woven into the wick. Cotton wicks burn evenly (and slowly), don't require regular trimming, and won't smoke as much as a wiry wick. Avoid dark colors. A high pigment content can keep the wick from absorbing the wax, which feeds the flame. This increases the likelihood of drips. When picking out your perfect candle, it is important to note what kind of wax was used for making the candle. 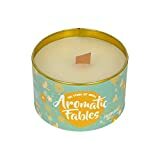 Paraffin: This wax is made from petroleum and is cheap, so these candles cost less than candles that are made with other waxes. Soy: Candles made with soy do not hold onto fragrance as well as candles made with paraffin, but still release scent. This wax doesn’t release as much soot into the air as well. Beeswax: Most expensive candle wax around, but has a much longer burn time than other waxes. It's also important to pick the right scent for your rooms. Living Room: Fragrances such as citrus and florals can be used to create a calming atmosphere. Make sure to avoid heavy, overwhelming scents, as well as food-related fragrances. During the holidays, pine and holly scented candles are a good choice for the living room. If color-coordination is a part of your home, be sure to buy candles in colors that match or compliment the color scheme of this room as well. Kitchen: Here is the best place to get creative with different types of food scents. Vanilla, apple, coffee, and cookie flavored candles are all good choices for this room, as well as various citrus based scents. During the holidays, play around with scents such as gingerbread or pumpkin! It will immediately make your house feel more festive for the season. Dining Room: It is best to avoid a lot of scents in this room—candles that have a heavy fragrance can distract the brain from the normal taste and smell of the food being served. If candles are a must, stick to very light, subtle scents like cucumber, sage, or white citrus. Bedroom: This is a good room to use aromatherapy scents, as they can be soothing and relaxing. Lavender and vanilla are known to help one become sleepy, while eucalyptus and mint can reduce stress. Again, avoid food and heavy floral scents. Bathroom: Good scents for this room include linen, citrus, and mint as they are known as “clean” scents. These fragrances should be limited and kept at a minimum as to not overwhelm the nose in a small space. Yankee Candle: This company was started in 1969, and today it is the largest manufacturer of scented candles in the U.S.
Colonial Candle: Established in 1905, this company has continued to make top-shelf candles for great prices. Goose Creek: From seasonal candles to everyday wax melts, Goose Creek has been in the business for almost 30 years and continues to make high-quality products.